A minister told his congregation, "Next week I plan to preach about the sin of lying. To help you understand my sermon, I want you all to read Mark 17." The following Sunday, as he prepared to deliver his sermon, the minister asked for a show of hands. He wanted to know how many had read Mark 17. 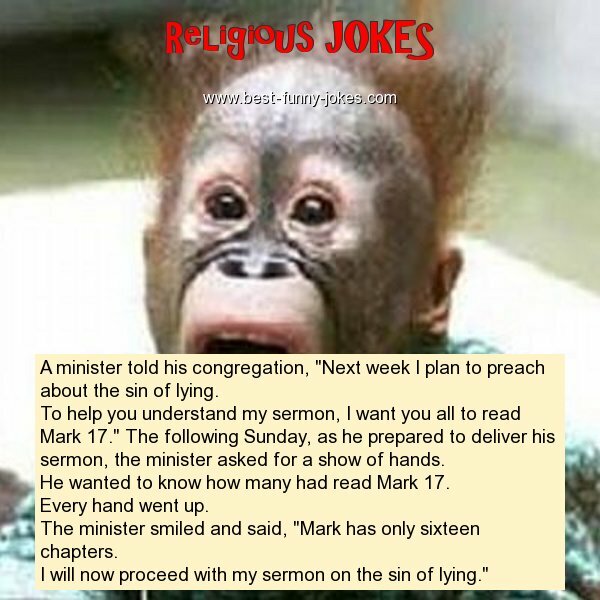 The minister smiled and said, "Mark has only sixteen chapters. I will now proceed with my sermon on the sin of lying."